Happy almost weekend! Got a tasty, EASY recipe for you guys to whip up for brunch this weekend. 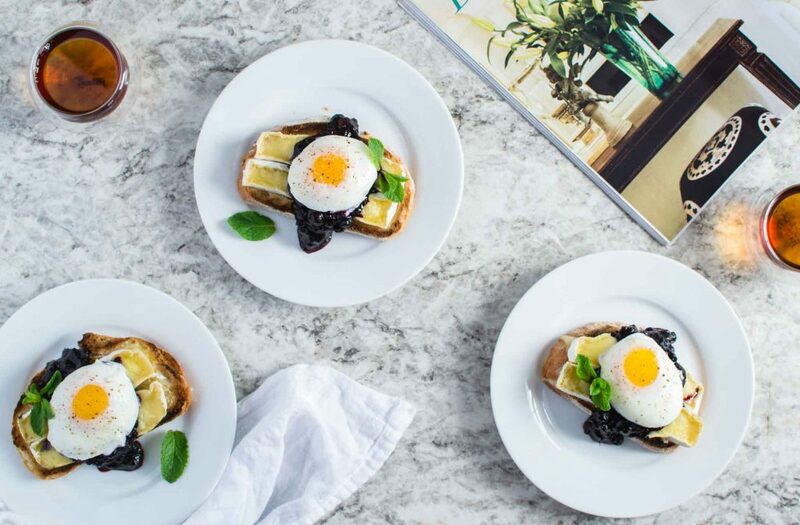 It’s a brie, mixed berry jam and egg toast. 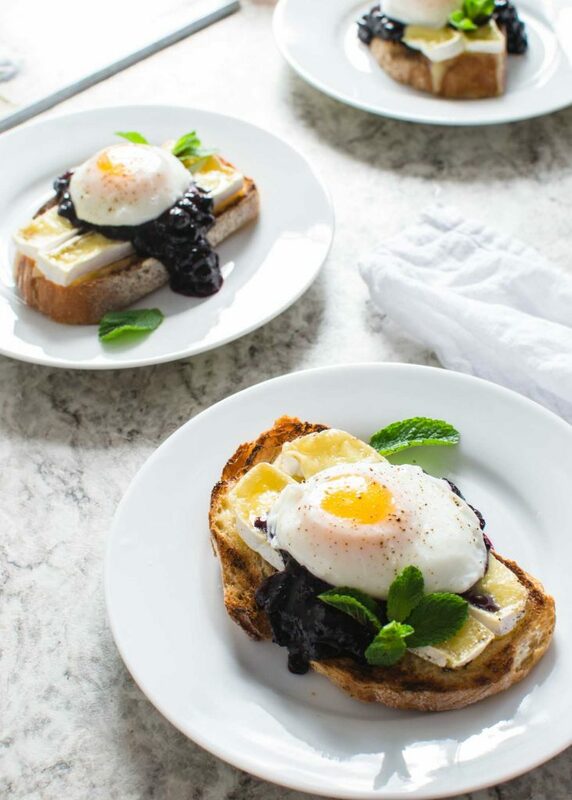 Basically, you toast some bread with some delicious brie on top, make a quick jam and top with a poached egg. SO GOOD. Trust me on this one. This recipe came about way back in October, when Josh and I (Nicole) went to Fogo Island. While there, we quickly learned that Fogo is not the best place to visit out of season. As in there was only one restaurant and it was pretty much all fried foods. SO, luckily we were staying in a place with a kitchen and could get some groceries. Now, I will be the first to say I’m not the best at planning out meals. I tend to go to the grocery store and buy a bunch of stuff I don’t need just cause it looks good or it’s on sale. Well I did this in Fogo, and since we only had a few random things to eat I had to be a bit creative and luckily it turned out really well! This dish is creamy, and slightly sweet, but also savoury with the addition of egg. Almost like a dessert for breakfast, but maybe better for you than pancakes or waffles? Couple of things to note, I used frozen berries this time, but fresh the first time. The winning combination for me is slightly more blueberries than partridgeberries, but feel free to experiment! A sweet, creamy and savoury treat for breakfast or brunch. Place an oven rack in it's highest setting and turn on the broiler. In a small saucepan, heat the berries, brown sugar and lemon juice over medium heat. Allow to simmer, smashing some of the berries with the back of a wooden spoon. Cook for 15 minutes, stirring occasionally, until thickened. Remove from heat. Meanwhile, fill a medium sized frying pan with 1 1/2 inches of water and bring to a gentle simmer. Crack the eggs into the pan gently, and immediately use a slotted plastic spatula to run under the eggs to prevent them sticking to the pan. Cook to till the egg whites are hard, but the yolk remain soft, or to your liking. Remove from pan using a slotted spoon or spatula. Toast both sides of the bread slightly in a toaster or oven. Top each slice with two slices of brie cheese, and on an oven safe pan, place under the broiler. Watch carefully, as these will burn quickly. Remove from oven when cheese has melted and bread is toasted. 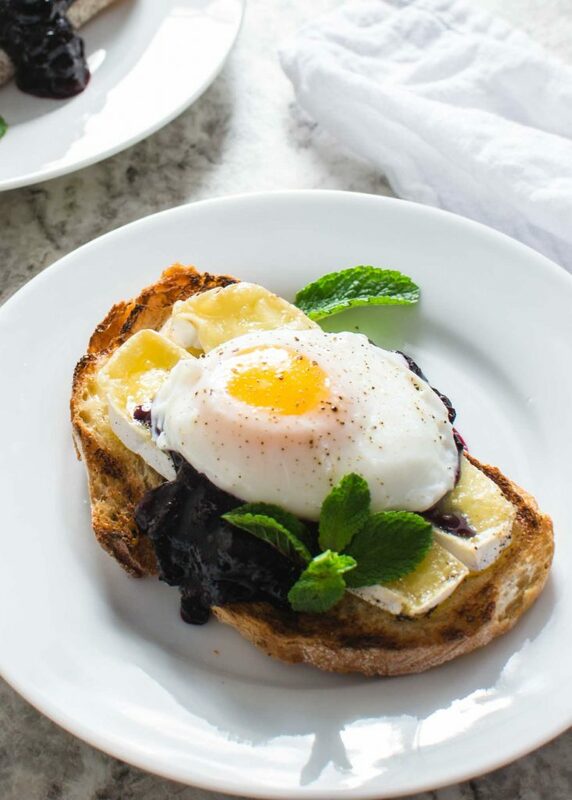 Top with generous spoonful of jam, a poached egg, some freshly cracked pepper and mint leaves. Serve warm!